Sometimes God is so intent on your “getting something” that He practically bombards you with it at every turn. That’s what the last few weeks have been like for me. Every where I turn, every passage I read, is focused on a common theme … blessing others with my words. Not just any words, but spoken words. Yes. 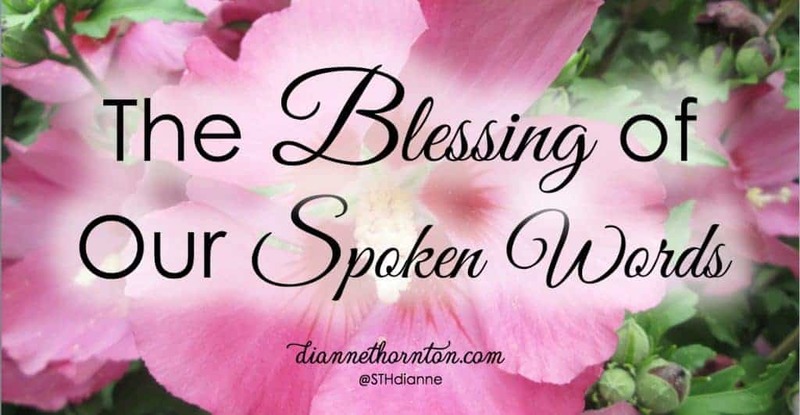 Words you say out loud to praise, inspire, strengthen, and encourage someone else. For me, this is primarily for my teenage “kids” who will not be teenagers much longer. Not too long ago I discovered that my daughter’s primary love language is Words of Affirmation. If you had asked me what her love language was, I would have quickly said … Gifts. For her eyes light up when she receives any thoughtful token (especially if it is chocolate!). But I now know that is secondary to her need for verbal affirmation. Although I thought I had praised and encouraged her often, my strong tendency toward criticism overshadowed it. In her world, the opposite of affirmation communicates the opposite of love. So I have been looking for and seizing opportunities to give her this precious, life-giving gift. But I had a major mom-fail last weekend. Ugh. Knife to the heart! Here was a perfect opportunity to show her my love–and I failed. My other daughter is also in this highly emotional performance. She, too, questioned me … asking if I had seen her in certain portions of the show. Being so high in the bleachers, it was hard to distinguish one from the other. Her face fell. What about me? Bless me, too! Do you only have one blessing? Do you have a blessing for me? (Genesis 27:36-38). My heart broke when I read this. This young man was also desperate for his father’s blessing and approval. Yet his father had none left to give. The result? Brokenness. Jealousy. Rage. As a result of Jacob’s deception, he ran away from his family and was gone for about twenty years. Finally, God told him to return to home. On the way back, Jacob encountered God, and wrestled with Him all night. Before the match was over, God told Jacob to release Him, but Jacob refused. He said, “I will not let go unless you bless me.” (Genesis 32:26). Twenty years later and Jacob was still desperate for the blessing. 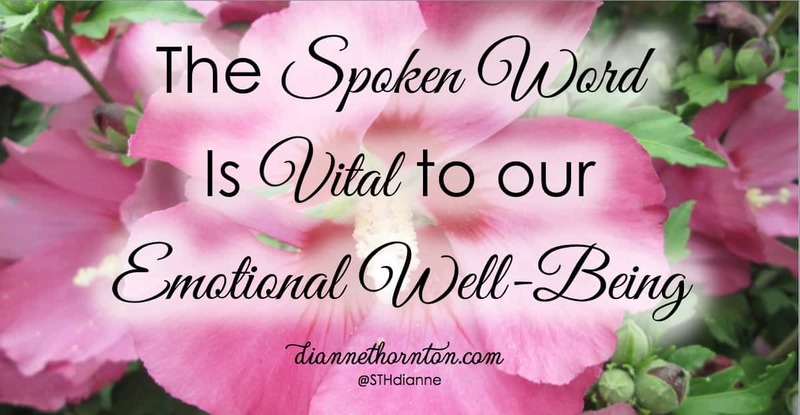 What is it about the spoken word that makes it vital to our emotional well-being? Our words give life. Or they give death. I don’t think any one of us can say that we have never experienced the death-knell of words at one time or another. Probably fewer can say that we know the power of life-giving words. If you have been the recipient of both, you know the power spoken words have. The right word at the right time brings joy! Whether it’s a needed word of advice, or a word of encouragement to lift a broken spirit. But the wrong words? It’s like a punch to the gut. Leaving horrible scars. Once our words are verbalized, they can never be retrieved. The hearer can mentally replay them at will. Or they interrupt our thoughts without invitation. If they are words of death, they wound all over again. 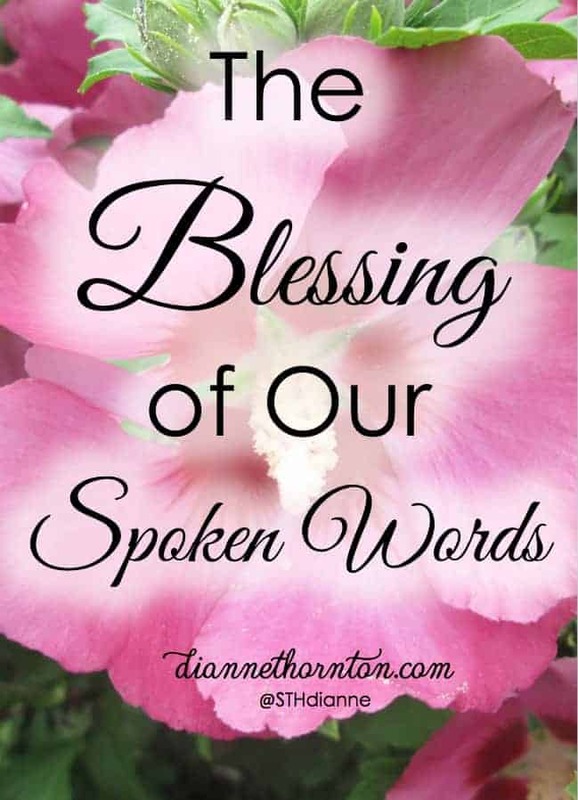 If they are words of life, they bring healing. Even our silence communicates something. To my daughters, my silence communicated ambivalence–the opposite of what was in my heart! We have the choice to either bless those around us with words of life, or curse and criticize those around us with words of death. I want to speak words of life. My family is desperate for them. I get a do-over this weekend. My girls have another competition, and I’m responsible for videoing their show. However, another mom and I are trading. I’m videoing her daughter’s show so she can be up front cheering her daughter on, and she is doing the same for me. Beyond this weekend, however, the question is … what words will I say that communicate love and value to those around me? It’s not just our families who need to hear our words. God places people across our paths every day that need a word of encouragement. Will you give it? A great resource for learning how to give a blessing similar to those given in biblical times is The Blessing, by John Trent and Gary Smalley. Thank you for the reminder! I know the punches to the gut all to well with 5 kids. I need to be more intentional about choosing my words and speaking life into those around me. Thanks, Julie … the girls did well! Always so proud of them … and I DID cheer for them both. So glad I had a do-over. Thanks for your words of encouragement, Christine!